Domestic violence advocates are hoping the tragic shooting death of a beloved bus driver here on Friday sparks a conversation about the difficulties victims often face when trying to leave violent relationship. Warren Nostrom, 74, is charged with two counts of first degree murder after allegedly shooting his estranged wife at a school bus depot near the center of Crossville. Warren is currently being held on $4 million bond in the Cumberland County Jail. His wife Joy, 58, and another man Mark Gunter were both killed last week after police say Warren Nostrom pulled up to the school bus depot and began firing. Joy Nostrom had recently filed for divorce and had filed multiple orders or protection against her husband early this year. In April of 2018, Joy wrote in a signed affidavit that her husband had become angry after making a can of soup and threatened to kill her. “I am afraid of him killing me as he has said in the past. I fear for my life,” she wrote in her own hand writing. Joy’s situation is not unique in Tennessee. Data released yearly shows the state ranks fourth in the nation for women being murdered by their intimate partner when domestic violence has previously been reported. 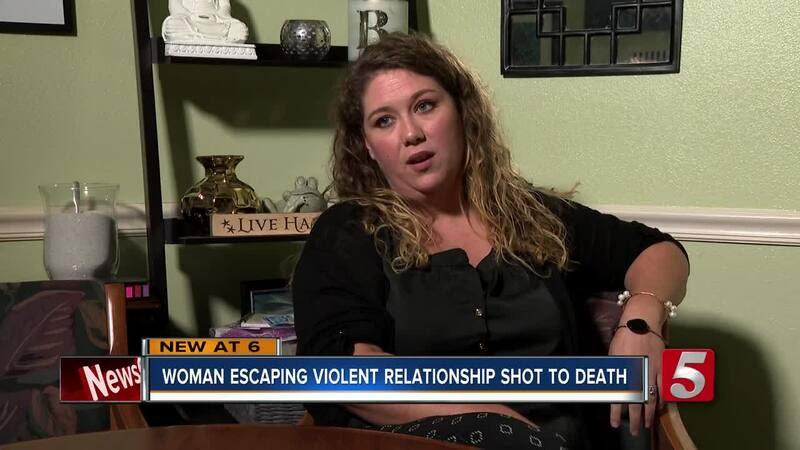 “Domestic violence homicides, where a woman is murdered, 75-percent of those involves the woman actively leaving or trying to leave that relationship. Yes, we have these tragic events but domestic violence is effecting so many people, it’s just not ending tragically or publicly,” says Rachel Burning, Executive Director of the the Avalon Center in Crossville.